Millennials continue to dominate the multifamily market, constituting more than half of all apartment renters, according to a recent Zillow report. So, naturally, it’s important that property owners cater to the needs of this demographic. Millennials aren’t the only demographic apartment owners should be watching, however. Millennials, also known as Gen Y, are getting closer to the age where they’ll eventually get married and have children, meaning the next generation of renters—Gen Z—is approaching. Owners should be carefully examining the needs and demands of this generation and be prepared to adjust their strategies to cater to both the Gen Y and Gen Z cohorts. Roy SonbolehTo appeal to both Gen Y and Gen Z renters, Trion contracted with Comcast to provide high-speed Internet service at Willow Glen, a 98-unit property near San Diego State University. Owners who incorporate into their properties amenities and elements that appeal to both generations will have the most success in the years ahead. 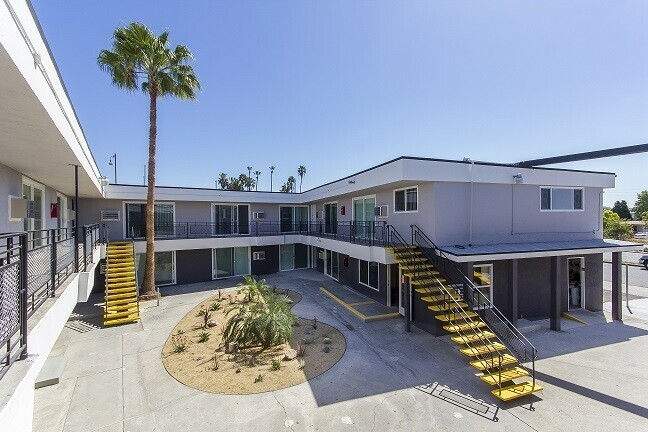 We recently repositioned Willow Glen, a 98-unit multifamily asset located near San Diego State University (SDSU), into a modern, high-quality community that would attract both Gen Y and Gen Z renters. Gens Z and Y are the most social of all generations and place a significant emphasis on apartment communities that integrate high-tech amenities such as Wi-Fi throughout the entire property. Knowing that many of our prospective tenants would be SDSU students, we contracted with Comcast for bulk high-speed Internet service, which was a huge boon to our leasing efforts and very popular with our existing residents, as well. By closely studying the needs of both generations, property owners can ensure that their developments are positioned to attract and retain residents over the long term. This approach will have the added benefit of yielding strong cash flow and risk-adjusted returns to investors. Residents today crave community in all forms. They’re demanding one-of-a-kind amenities and common areas that aren’t typically found in traditional apartment developments. By accommodating these demands, owners can help differentiate their properties, increase resident satisfaction, and build a sense of community, which will ultimately result in higher overall occupancies and lower turnover. In the past, residents were satisfied with traditional common areas that were well-maintained and upgraded every few years. Today, residents are demanding creative, out-of-the-box communal spaces that cultivate a completely unique experience. This is especially the case for communities located in urban settings, where renters are seeking live/work/play environments that will support their lifestyle decisions. For urban infill assets, owners must strategically position their communities to best optimize community spaces. For example, some developers are even incorporating graffiti art into their common areas to create an authentic urban experience. By incorporating art and cultivating well-designed recreational spaces where tenants can socialize with other residents, multifamily owners can help establish a sense of community at their properties and build resident retention. At The Eleanor, a 41-unit, 1920s vintage apartment community in Los Angeles, we created several communal spaces throughout the property, including a graffiti-themed common area that complements the asset’s urban setting; an indoor–outdoor patio space; and arcade games. The property maintains full occupancy and commands the highest rent per square foot in the MacArthur Park submarket of Los Angeles for an asset of this vintage, indicating that unique communal areas can add significant value and drive leasing at an apartment community. Incorporating the most current technology can be a crucial element of successful leasing in today’s competitive market. We live in a digital era, and residents are demanding the latest and greatest in digital amenities. Apartment communities that don’t offer these components will struggle to capture market share. Some common digital amenities include keyless door entries, smart locks and thermostats, USB charging stations, and Wi-Fi throughout an entire property—and these are just the standard ones. This push toward the “smart unit” will only continue to grow, and the most successful multifamily owners will be those who ensure that their properties incorporate these amenities. If you manage an older property or are renovating one, updating to the latest technology will be a huge boost to leasing, as buildings without these features become exponentially outdated in the eyes of younger renters. In addition to tech amenities, interesting, unusual perks that aren’t easily found at other apartment communities will also do well in attracting residents. An example of this is leveraging popular tech incentives, such as offering Uber concessions to residents. With the rising popularity of ride-sharing services like Uber, coupled with the lack of available parking in urban cores, offering such credits can be the perfect solution to limited parking in metro areas, as well as an effective marketing tool for leasing. By leveraging the sharing economy, owners can capture a large segment of young renters. As the multifamily market continues to experience rapid expansion and competition continues to rise, owners must implement marketing strategies that keep their properties competitive. By appealing to both current and emerging demographics, integrating unique common areas, and offering high-tech amenities, multifamily owners will best position their assets to attract and retain residents in 2017 and beyond. Previous Post How To Find Tenants For Your Multi-Family. Next Post 1031 Exchange Anyone?